24 Mar How to Start SEO for New Website? How Do I Start SEO For A New Website? 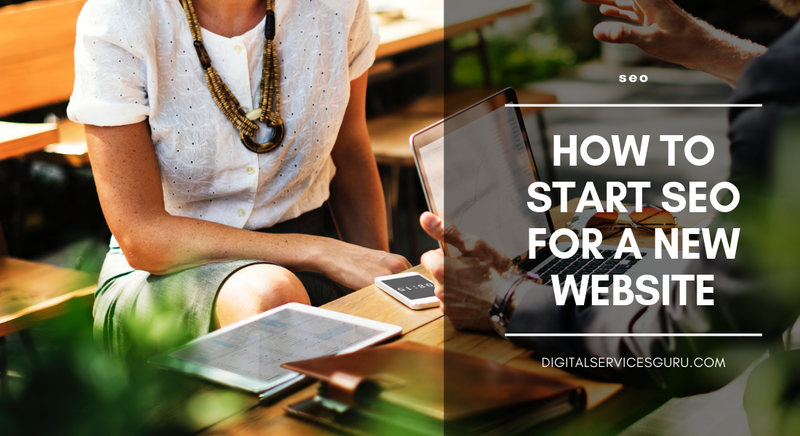 You may have already launched your website to start your business online. Now, you think that your website is ready to attract customers. However, without SEO, it is not easy to reach this goal. Thus, this is the best time to start the SEO process. You have to do various activities for SEO of your new site. Although this is a very complicated process, we have guided you for SEO. Your website structure is one of the major ranking factors. Find a set of most effective keywords for every page of your site. You can split the structure into different categories. This will help you in choosing the primary and secondary keywords. However, do not optimize a page with several keywords. You can better create more pages for every topic. It is the time to focus on the SEO factors. The marketers have found that Google look for pages, having more than 2000 words. You may need time to create the detailed content on a topic. However, you will have positive result. Thus, you can compose longer content for every page of your site. You must use the keywords for your H1 and H2 heading tags on the page. While writing the content, you have to present a solution to the readers. For any search result, the title tag will appear as the title of your webpage. Thus, you must include title tags to all the pages. The tags describe the page content. Thus, for SEO, you have to use the primary keyword for writing the title tag. Try to start the title with the keyword, and this will attract the readers’ attention. However, make sure that you have kept the length limited to 60 characters. While the tag is very lengthy, Google may crop it in its own way. This description is a very precise, informative snippet, which comes up below the URL and website title in SERP result. Though this description has no direct role to affect ranking, you have to add a keyword-filled Meta description for every page. When you have developed the content and worked on all other website elements, you can create your Google Analytics account. This is a free software application to track the site. This tool helps you in observing the activity of your website users. Thus, you will have a constant view at the performance of your site. After the configuration of Analytics, you may take steps for link building. You can connect your colleagues and friends to ask them for promoting your site. For instance, when any of your friends is blogger, you may get his help for increasing your publicity. Now, try out the above steps for optimization of your website. Your consistent effort for SEO will give you the best result.